After dating one too many losers, Gail Sarandon finds herself running for her life, literally. Recently stalked by an ex drug dealer, Gail unwillingly witnesses his murder and is spotted by the hit man. In a race to save her own life, she rents a car, skips town, and is staying in a rundown motel when FBI Agent Jason Tregarth rescues her from the pursuit of a killer who is hot on her heels. However, as they meander the back road of a small town in hopes of losing their pursuer, a storm brews on the horizon and Jason suddenly loses control of the vehicle. Realizing the car is on fire and Jason is injured, Gail manages to pull them both from the wreckage before a final explosion destroys their only chance of escaping a killer. Desperate for shelter, and in need of medical attention, Jason and Gail stumble along the wooded country until they find a beautiful, rambling house deemed 'Dagon House.' Although the old house and it's eccentric inhabits offer a bit of shelter from the storm, it also harbors it's own mysterious danger. And while Gail is busy unraveling the secrets of Dagon House, a dangerous murderer is closing in for his final kill. Will Gail and Jason make it out of Dagon House alive or will the evil within claim it's next victim? This was a really great short novella. In addition to the suspense that revolves around Gail and Jason, there is also an undercurrent of danger and secrets from the house, itself, as well as the current inhabitants. An old house, ghosts, dangerous secrets, and a classic murder story make for wonderful reading. Totally recommend Toombs! Mary is a pickpocket on the streets of London by day, and by night she's terrified of the streetlights. She doesn't understand this terror, only that she cannot succumb to the evil eyes of the lights at dusk. Mary remembers only the scar across her temple and the headaches that overtake her. Her keeper, Colin, is a cruel and mocking criminal who selfishly uses her as a pawn in his schemes to make a living from the harsh streets. Only, one night when he uses Mary in an attempt to help a fellow prisoner escape, she comes to face to face with a name she once carried, and the etchings of an old life begin to edge their way back into her mind. When at last she realizes that her name is not Mary, and she never did belong a beggar to the dirty streets, all hell seemingly breaks lose. In the grand finale, will Mary realize who she is and where she came from in time to save herself and those she loves, or will she become just another victim of the streets? This was a short gothic novella, but highly enjoyable. The author does a great job of pulling you into the atmosphere. Read in one sitting and was glued to the Kindle. Highly recommend for a fast, entertaining read! Left penniless and alone in the aftermath of the Civil War, Jennifer Hale answers an ad out of desperation and receives a nursemaid job at the Darkwater plantation. Nestled in the heart of the bayou, Jennifer is happy with her beautiful surroundings, but she can't help the feeling that impending doom is boiling just below the surface. Jennifer is able to press troublesome thoughts from her mind as she settles into her job as teacher to the three Darkwater children and companion to the ailing wife of the house, Alicia. But as Alicia's illness progresses, an illness doctor's say say is only in her mind, Jennifer can't help but notice the chemistry that is growing between herself and Walter, the man of the house. Yet Alicia insists that Liza, the oldest of the children and an orphan Walter rescued from the swaps, is a witch who has cast a spell upon her house. A spell that is sure to take Walter away from her and kill her in the same breath. But when Alicia dies of mysterious circumstances and Walter later asks Jennifer for her hand in marriage, she seems to fall ill of the same malady. Then she realizes how terribly Liza hates her, and the old cook Bess begins to speak of voodoo curses. Jennifer visits a witch that lives in a shack in the bayou in hopes of having some questions answered but only returns with her own potion, and a fear more real than she's ever experienced. When, at last, the household realizes that evil is real and resides right beneath their roof, they're not sure who will survive. Jennifer clings to life as she struggles against an ancient hatred that wishes only to be rid of her. Very enjoyable book that read quickly. I loved the setting of the bayou, and the witch who lived there, this totally set a great gothic mood for the book. With potions, witches, voodoo, and an isolated mansion in the bayou, you really can't go wrong! Highly recommend! 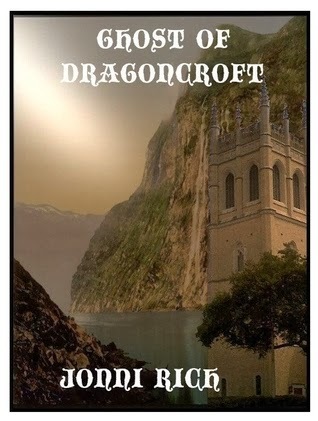 Unsatisfied with her meager life and with not much family to speak of, Vanessa Threadbolt answers an ad for a governess position at Dragoncroft Castle. As she awaits her interview, she's befriended by another village girl who informs her of the local rumors that the rambling castle is haunted. And as if that weren't enough to send a timid girl scattering, there are also rumors that Lord Easterly also murdered his first wife. Feeling as if she has no choice in the matter, and also finding Lord Easterly mysterious and attractive, she takes the job. At first Vanessa enjoys the work and gets along wonderfully with her young charge. 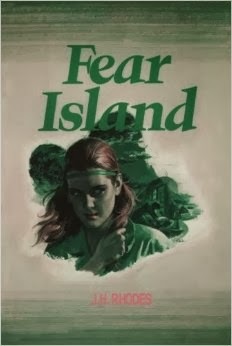 But when she discovers a tiny island, the place where Lord Easterly's wife is said to have died tragically in an accident, she can't help but keep visiting this tiny paradise, even if it means endangering her own life. But the island isn't the only thing Vanessa should be weary of, for the halls of the castle, themselves, are harboring a dark, deadly secret. Are there ghosts, or is Vanessa merely caving under the weight of all the rumors? And when a monster begins to roam the halls, will anyone be left alive at all? This little novella was quite a treat. I read it in one sitting as it kept my interest peaked. I loved the descriptions of the castle and felt I got to know the main character, Vanessa, very well and could empathize with her. This book is reminiscent of the vintage gothic and I sure hope to see more writing by Jonni Rich! Lambert is a successful lawyer, and on the outside you would think she has everything together, but she doesn't. The dark secret she hides is bulimia and she's hoping that spending the holidays with her aunt Moonie is just the break she needs to put an end to this devastating cycle. Lambert is a little less than excited to be spending Christmas at an old estate nestled in the back hills of Tennessee, but when her mother says this might be aunt Moonie's last holiday, she can't say no. Upon her arrival, she's a little irritated to realize that there are two other guests Monthaus: Rochester, a psychiatrist (who makes her more nervous than she cares to say) and Deveron, a self-proclaimed medium who is guiding aunt Moonie in search of the spirits who will take her home when she departs. At first things are calm, Lambert reads to aunt Moonie every evening, manages to hide her eating disorder, and even gets into a festive mood with Christmas decorations. But when a snowstorm hits and everyone gets snowed in at the old house things go awry. Mysterious chills evade the air and ghosts go bump in the night. Is Lambert losing her mind, or are these things real? Will Rochester figure out her inner struggles? And when people end up not being who they seem, who will fall victim to a maniac who is out to get Aunt Moonie's inheritance? This was a lovely Christmas gothic that I devoured in one sitting. The characters are well developed for a short novella and the romance is a sweet observation. I really enjoyed the story and my only complaint is, I wish it had been a full-length gothic because I definitely could have kept reading! 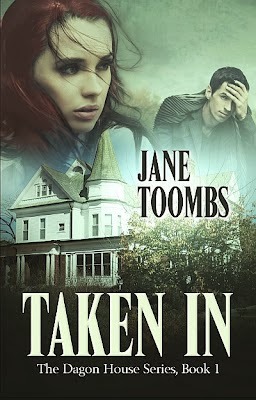 Another great read from a contemporary gothic romance author that I hope to read more of! Highly recommend! Anne Brannon returns to her childhood home, Ravenwing, under mysterious circumstances. Her father has recently died, and she wasn’t even invited to the funeral. Estranged from her father for the past ten years after the suspicious death of her beloved mother, Anne has spent the last few years of her life working as a seamstress in a clothing shop and caring for her dying grandmother. With an increasing mound of medical bills, Anne feels that the sell of Ravenwing would more than compensate the increasing debt, and leave a little extra to live on. However, her arrival to Ravenwing only stirs old suspicions and deepens the mystery of her mothers death. First there is cousin Melvin, who appears to downright resent Anne’s return and often throws slurs in her general direction. Then there is the hateful, lazy cook/housemaid Alberta, who never cared for Anne’s beautiful mother for reasons unknown. Anne’s aunt seems all but indifferent and the current houseguest Norman Franken makes her skin crawl. Anne is ready to brush this all off as a case of the nerves until someone throws her down a dark flight of cellar stairs, then she receives cryptic messages and pranks that warn her away from the old inheritance. But the most incriminating evidence Anne finds while packing up her mothers belongings…a diary! Yet, someone has ripped the last few pages from the book, an entry that was dated the night of her own death…incriminating none other than Mr. Franken. Anne is terrified and only has two allies to speak of in the house, her cousin Cleo and a recent romantic interest, Craig Allyson, who has built his own rambling mansion as neighbor to Ravenwing. Anne also has the crawling suspicion that eyes are always watching her, ironically her mother spoke of the same fear in her diary. But when Anne goes in search of a secret passageway, she might just end up losing her life! I loved this read! Very quick paced with a jarring, surprise ending that I didn’t even suspect! 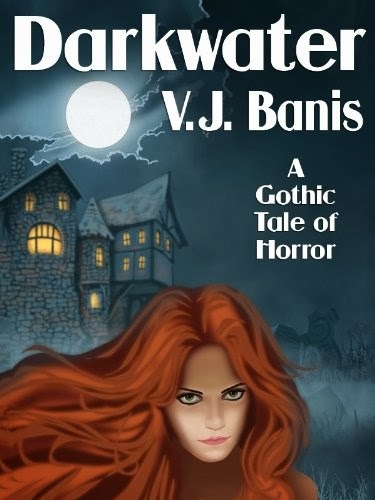 Very light, enjoyable reading and would highly recommend to fans of the vintage gothic! Heartbroken from a recent romance gone awry, Ellen Chandler is content to work alongside her sister Phyllis in their dress shop business. But when Ellen receives a letter from her elderly uncle at the old Rutledge mansion where she resided during her childhood, she couldn’t help but take the job offer as a typist for the history book he was writing of his own family ancestry. Since Phyllis had mysteriously left weeks earlier and Ellen had not recently spoken to her sister, she felt it was appropriate she have a holiday as well. Yet, when she arrives at the rambling ancient house by the woods, she finds the place (and the people) have changed. Her cousin Serena has been left mentally impaired by a mysterious accident that no one seems to want to discuss. Though radiantly beautiful, the young girl roams the grounds, seemingly lost in her own oblivion. Her cousin Carolyn, who has now taken over the families wealthy printing company, is as cold and plain as ever. Her old love Paul, now engaged to a jealous beauty still proclaims his undying love to Ellen when out of earshot of all the other inhabitants. The only hint of normalcy in the whole rambling estate is Mitch Rutledge, who keeps things running smoothly. As Ellen immerses herself in her new job and life at the estate, Serena pulls her into a mystery more frightening than she could imagine. Clues and evidence hint that Phyllis has recently been here and may have been murdered. When another murder takes place and Ellen finds herself in a fight against an unnamed enemy, she wonders if she will survive to help unwind this mystery and save herself. With Paul as her only real support in all the chaos, Ellen faces the reality that someone wishes her dead. I loved this book and was surprised with the depth of the mystery. I actually didn’t know who the killer was until the very last chapter, which makes for an excellent, fast-paced read. 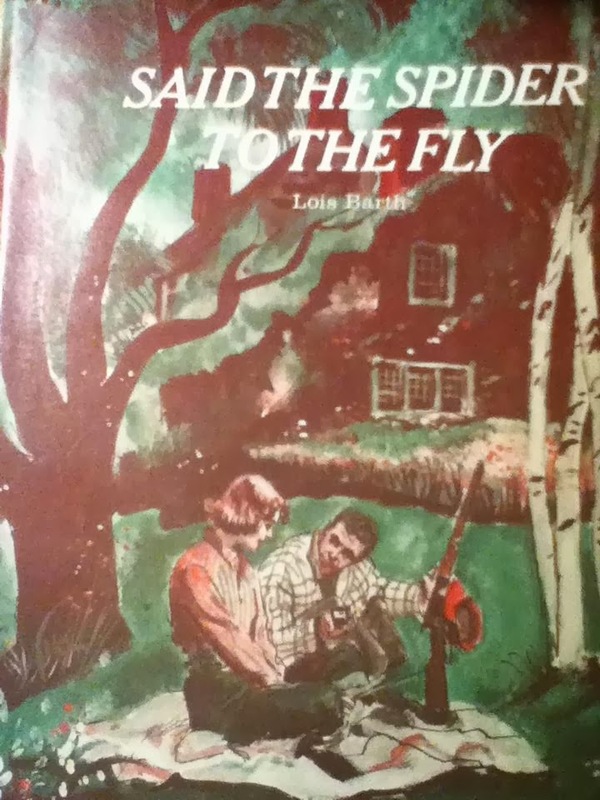 Highly recommend this vintage read! When Heather Dane answers an ad in a newspaper, she’s more than happy to accept a position on private Dameron Island as typist and secretary to the wealthy Amelia Dameron. Aside from her aunt, Heather has no money to speak of and welcomes a job outside the tiny town she currently resides. However, Heather doesn’t exactly get a warm welcoming from the inhabitants of the island. Though Amelia is friendly enough, her free loading son Byron seems a little less than excited about Heather’s position, and their temporary guest, Fiona Anders, is downright hostile. Does Fiona have something to hide, or is she merely jealous of Heather? As if her nerves weren’t already on end, Heather is plagued by one frightening event after another. First she is awakened from sleep and shoved in the dark, accompanied by warning to go away. Days later she is chased blindly through a wooded path in the forest by an unknown assailant, and while forced to seek safety in the cabin of handsome Scott Jordan, the dark intruder stalks her from the outside. When the cook goes missing and Amelia almost dies, Heather goes looking in the dark of the night for evidence. 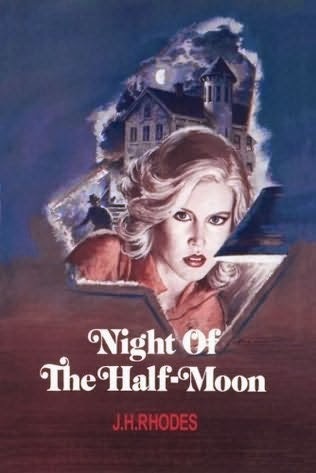 Will she survive to solve a deadly mystery and realize the romance between she and Scott, or will Heather eventually succumb to an unfortunately organized accident in the rambling mansion by the sea? This was a fast paced read. Like most Avalon romances, the story wasn’t quite so deep but there were enough subplots to keep things moving along. Really enjoyed the book and would recommend for gothic romance fans who are looking for a light, enjoyable mystery!